Ever feel like no matter how much you sleep or how much coffee you drink, you still feel tired and lose focus during the day? It turns out, the main symptoms of dehydration are fatigue and loss of focus. Hydrant is a product that solves just that. It’s a simple hydration mix for people with purpose, like you. Between the gym, team drinks and the occasional illness (not to mention not drinking enough water! ), we’re living life more dehydrated than ever. Existing products are sugary, packed with artificial stuff and ineffective. The Hydrant Company designed Hydrant without these problems, and made it easy to mix into your daily routine. CLICK HERE to enter to WIN a ONE month supply! Just add one to your cart and check out. You won’t be asked for a credit card or any form of payment. Shipping is free also! GO HERE to request your free tsogo sample! Apply to Sample Horizon Organic Good & Go! Cheese Snacks! Hurry, because these go fast! If you’re not already a member of crowds up head over to their website and join because they have lots of free samples to apply for. Right now there are sampling Horizon Organic Good and Go! Cheese Snacks! Start your day off right with a free sample pack of Carnations Breakfast Essentials Rich Milk Chocolate Powder Drink Mix! CLICK HERE to request your sample. Hurry and sign up to receive free samples of Emergen-C Vitamin Drink Mix! These come in handy on plane rides and when your co-workers start to get sick around you. Same goes for your kids at school with all the germs. Get your free samples by clicking the picture below. I really love this stuff! How to get a free snack box from SnackNation – unboxing my snack box! Yes, you can get a totally free snack box for your office HERE with free shipping but the company will call you to verify you do have a business. If you’re like most and don’t have a company name to list then you can still get a free box but you’ll be asked to pay $4.95 shipping. I’m sure that’s not what you want to hear but this is a screaming deal even at the $4.95! Watch the video to see what I got in my box and you’ll understand! 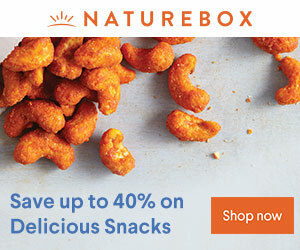 To request a free SnackNation box + $4.95 shipping GO HERE! Apply to test new Brushee Disposable Toothbrushes! Want to be a Brushee Product Tester? As they evolve their new disposable toothbrush, the Brushee’s company would love your feedback to make their next release even better. You’ll be sent a short survey to complete after using Brushee. CLICK HERE to request to be one of their testers! *OMG* Right now you can get Bulu Box basically free (almost)! The site is running a promotion so it’s only $5.99 but you get $5 back in points + free shipping making it basically free if you do the math!! I don’t know how long this deal will last! Use discount code: DISCOVERY and CLICK HERE to take advantage of this deal! Bulu Box is a monthly fitness and weight loss subscription box. Their original Bulu Box is focused more on fitness and supplements, and they also have a Weight Loss box that features healthy products and diet supplements. Right now you can request a FREE Tahitian Noni Essential Oil Sample! Personally I love essential oils. I put them in an essential oil diffuser and it keeps the house smelling nice without having that fake air freshener scent. To request your sample you can GO HERE. CLICK HERE to request your sample treo.